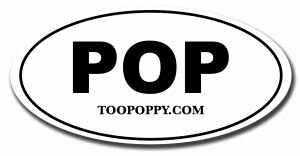 I started Too Poppy years ago to find a connection to the music that I once had when I worked it radio. It was also a lovely way to relieve a bit of the stress inherent in the law school experience. I've intentionally kept Too Poppy low profile - I've never had grandiose plans. We live a simple life around here and god forbid we mess that up. When one of your favorite Too Poppy artists suggests something special, you need to consider doing a bit more. That's why for the first time we'll shake up Too Poppy and offer you an EXCLUSIVE tomorrow. That's all I'll say for now. You've been teased. Did it feel good?